Here’s a quick breakdown in a chart, and I encourage you to read the important information below it as well. Providing some of the best e-liquids from high-end brand all around the world. The base, or carrier, holds the flavour in suspension so your e-cigarettes or vape pen can produce those nice clouds of smoke-like vapor. Both propylene glycol and vegetable glycerine are non-toxic organic compounds and generally considered safe for consumption. In fact, they are widely used as food additives in a variety of commercially available food and personal care products. Like ketchup? There’s propylene glycol in it. 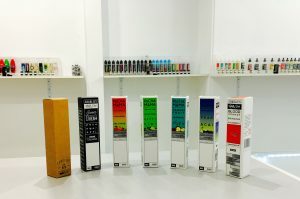 Thinner Consistency: Due to the fact that propylene glycol has a runny consistency, PG e-liquid is thinner than the VG variety and is easily absorbed by the polypill and cotton fabric inside cartomizers and wick tanks. 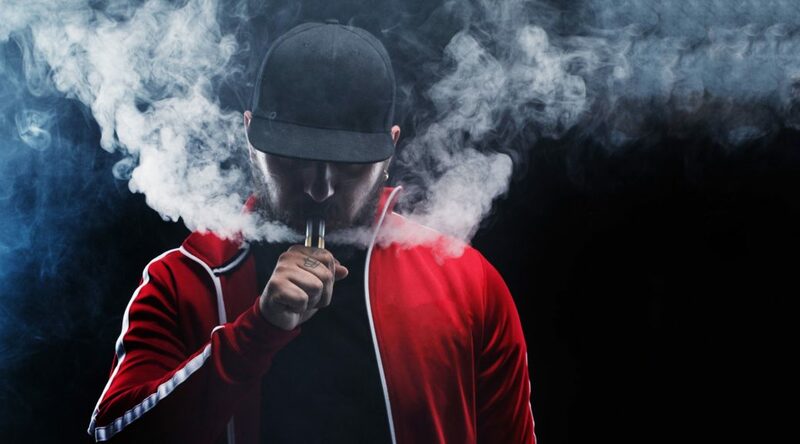 Less Gunk: The low density of the juice also means that gunk doesn’t build up on the heating element of your electronic cigarettes as fast as it does when thicker vegetable glycerine e-liquid is used. Does not affect flavour: Propylene glycol is a tasteless odourless substance, so it doesn’t alter the flavour of the e-liquid in any way. Have you seen images of vapers with large billowing stacks of vapor? They’re using a VG base for that effect. Thicker: Vegetable glycerine is a considerably thicker solution, compared to propylene glycol. It has a slower absorption rate for wicks and cartomizers. More gunk: Because of its thick consistency, VG tends to gunk up and clog vaporizers, requiring more cleaning. 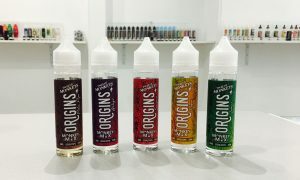 Sweeter: On its own, VG has a slight sweet taste which also makes the e-liquid sweeter and the flavours a little difficult to detect. PG e-liquid Sydney tends to give you a better throat hit and a lot more flavour. 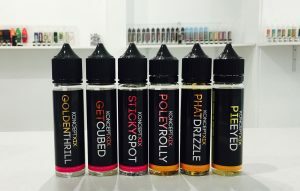 Most of Vaper Choice e-liquid in Sydney is High VG base mixed with PG. VG e-liquid on the other hand, allows your atomizer to produce a lot more vapor. 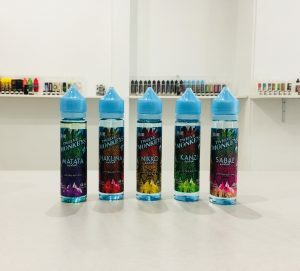 VG e-liquid is a thicker and more sticky fluid, and although most people do not show signs of allergy with VG, there are minority groups who complain about having phlegm build-up in their throats. The more VG e-liquid you use, the less of a throat hit you’re going to get – that’s the general idea. The vaping community is evenly divided when it comes to e-liquid preference. Some enjoy the intense throat hits more than flavour and vapor, others enjoy the sweet, thick plumes of vapor. We suggest starting with PG e-liquid, especially if you are looking for an experience similar to smoking. 60 / 40 mix of VG and PG in your e-liquid can produce great vapor and more flavour. If you like, you can tend to use mix of both PG and VG in particular ratios, such as 70 VG / 30 PG. This is the optimum ratio for most each uses as it provides a nice throw hit, good flavour as well as tons of vapor production. Vegetable Glycerine (VG): more vapor, less throat hit. VG e-liquid is thick and a little sweet. It produces luscious clouds of vapor. VG e-liquid also imparts a sweeter taste to your liquid. (VG e-liquid is available in Tobacco and Menthol flavours). Propylene Glycol (PG): better throat hit and flavour. PG e-liquid is thinner and produces more of a “throat hit” than VG e-liquid does, which simulates the feel of smoking better. PG e-liquid also has a higher rate of sensitivity for some people, meaning that some people just can’t use PG in them vape. Usually side effects are mild allergy symptoms. Both VG and PG are used in a variety of foods that you consume on a daily basis and are deemed safe. However, in some small cases, people have experienced allergic reactions to propylene glycol; the most common is skin rash. So, which is better, VG or PG?